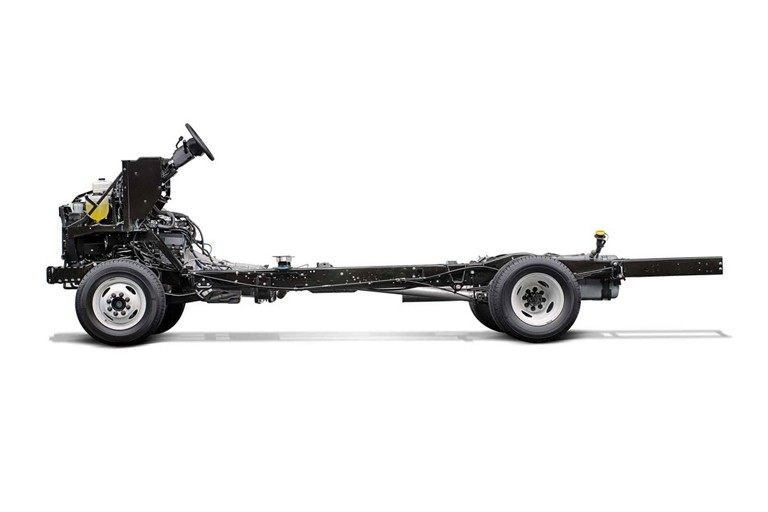 The 2019 Ford Stripped Chassis coming soon to Jarrett-Gordon Ford in Winter Haven, FL - serving Lakeland, Auburndale, Bartow, Haines City, and Lake Wales - pushes your business forward. This incredible platform for commercial vehicles serves as the ideal foundation for your automotive needs. Work on the go with incredible convenience, thanks to the strong design that supports your business with a 36,000-psi steel construction. The standard, 6.8L Triton® V10 engine fuels every delivery with 320 horsepower and 460 lb.-ft. of torque. A standard, TorqShift® 6-speed automatic transmission helps you find the right balance of speed and traction for all driving situations. Keep track of important information with clear instrumentation and a designated message center with the outside temperature reading and more. 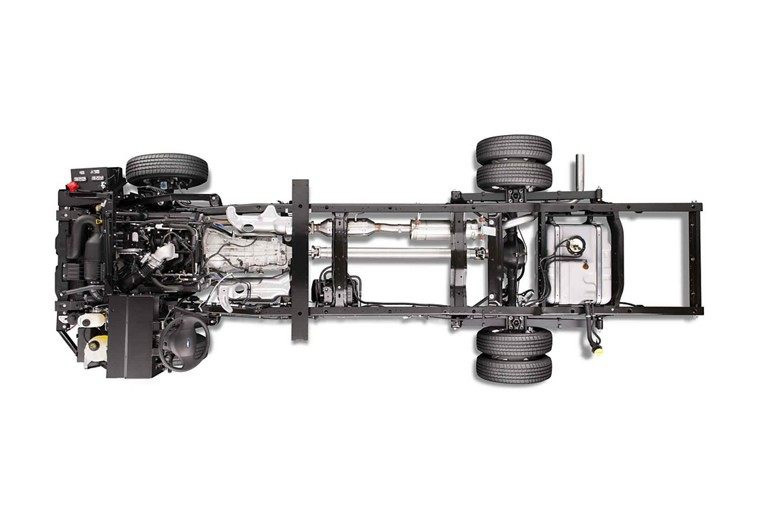 Learn more about the new 2019 Ford Stripped Chassis coming soon to Jarrett-Gordon Ford when you visit our dealership located at 3015 Lake Alfred Road, Winter Haven, FL. We can't wait for you to see this incredible vehicle once it arrives. THE SOLID PLATFORM FOR A STRONG BUSINESS. Delivery vehicles carry anything from newspapers and parcels to business supplies. 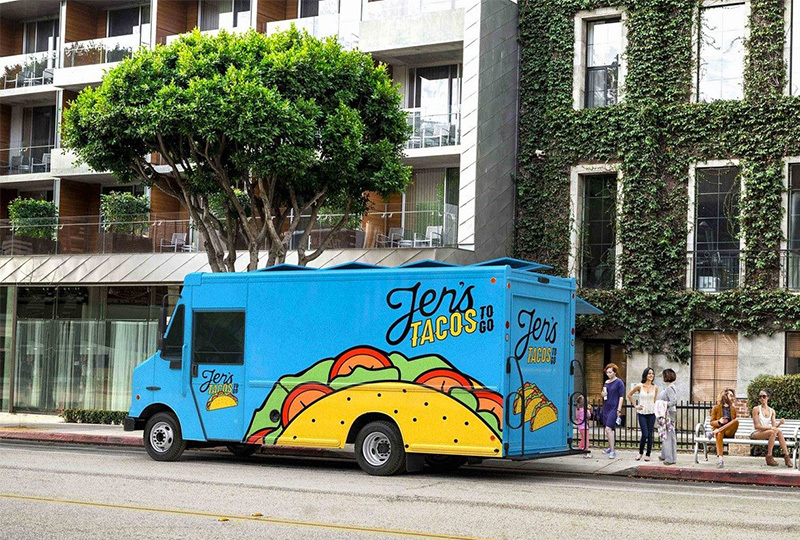 Food truck commissaries provide convenient service on the road. These are the walk-in vans commonly seen delivering services of virtually every kind. And the platform most preferred for these commercial vehicles? The Ford Stripped Chassis. The 6.8L Triton® V10 is the standard powerplant in all Ford Stripped Chassis models. Its 3-valve version powering the F-59 commercial and F-53 Motorhome Chassis is rated at 320 horsepower and 460 lb.-ft. of torque. 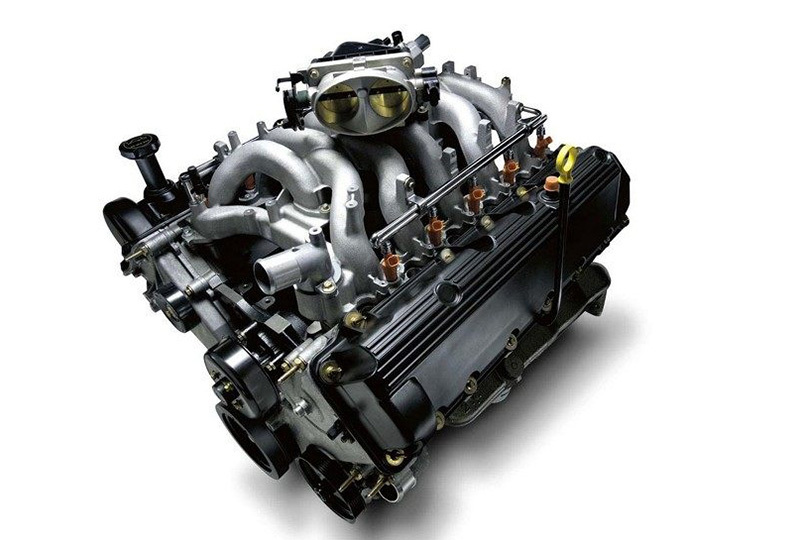 The 2-valve V10 in E-350 and E-450 Stripped Chassis is rated at 305 horsepower and 420 lb.-ft. of torque. The F-59 is our highest-rated commercial stripped chassis, available in a wide range of wheelbases and GVWRs up to 22,000 lbs. The standard 6.8L 3-valve Triton® V10 generates 320 horsepower and 460 lb.-ft. of torque. The E-450 Commercial Stripped Chassis is built for heavy-duty delivery, with two GVWRs available in the 14,000-lb. range as well as a choice of the standard 6.8L 2-valve Triton® V10 or more economical 6.2L flex-fuel V8. Need high capability and performance for basic delivery applications? 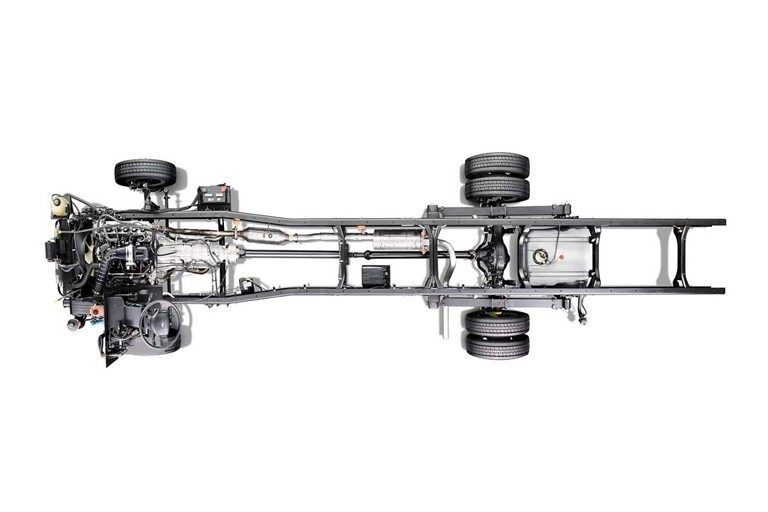 Look no further than the E-350 Commercial Stripped Chassis. The E-350 offers two wheelbases and GVWRs, as well as a choice of the standard 6.8L 2-valve Triton® V10 or more economical 6.2L flex-fuel V8.